Forecasts that new development banks sponsored by the largest developing countries are destined to erode the economic dominance of the United States are quite premature, but it is nonetheless no contradiction that the global hegemon has vigorously sought to stop them. More than a little hypocrisy is at work here. The newly created Chinese-led Asian Infrastructure Investment Bank has drawn much more of Washington’s ire than has the BRICS New Development Bank formed by the five “BRICS” countries of China, Russia, India, China and South Africa. The U.S. government has leaned heavily on Australia and other countries sufficiently firmly that Canberra has declined to join the Asian Infrastructure Investment Bank despite its initial interest, nor have Indonesia and South Korea. Although the infrastructure bank is to be capitalized with US$100 billion, it would be ridiculous to say that the World Bank or International Monetary Fund will be put out of business. It will not necessarily go much beyond complementing the existing Asian Development Bank, a regional multi-lateral institution controlled by the U.S. and Japan. And even the World Bank says Asia will require trillions of dollars to build its infrastructure in coming years that it and existing institutions can’t supply. The politics of imperialism are at work here. The very idea that a country outside the control of the U.S. dares to set up an institution outside the control of the U.S. is an example that Washington, as the ultimate enforcer of multi-national corporations’ prerogatives, is determined to stamp out. Has the Obama administration, or, more accurately, the government apparatus that has steered U.S. policy on behalf of corporate interests for generations, suddenly grown a conscience? Quite unlikely. The World Bank and International Monetary Fund, as well as regional banks such as the Asian Development Bank, have been under U.S. suzerainty since their founding. Does the World Bank really uphold development ideals? The record firmly says otherwise. Loaned an energy company in India more than $550 million to finance the construction of two coal-fired power plants. Local people, excluded from discussions, were beaten, their homes bulldozed and complain of reduced food security and deteriorating health as a result of the power stations. An Indonesian dam, made possible by the World Bank’s $156 million loan, resulted in the forcible evictions of some 24,000 villagers, who were subject to a campaign of violence and intimidation. In Laos, a hydropower project made possible by World Bank guarantees displaced at least 6,000 Indigenous people and disrupted the livelihoods of around 120,000 people living downstream of the dam who can no longer depend on the rivers for fish, drinking water and agriculture. A study prepared by the Institute for Policy Studies and four other organizations found that World Bank lending for coal, oil and gas was $3 billion in 2008 — a sixfold increase from 2004. In the same year, only $476 million went toward renewable energy sources. 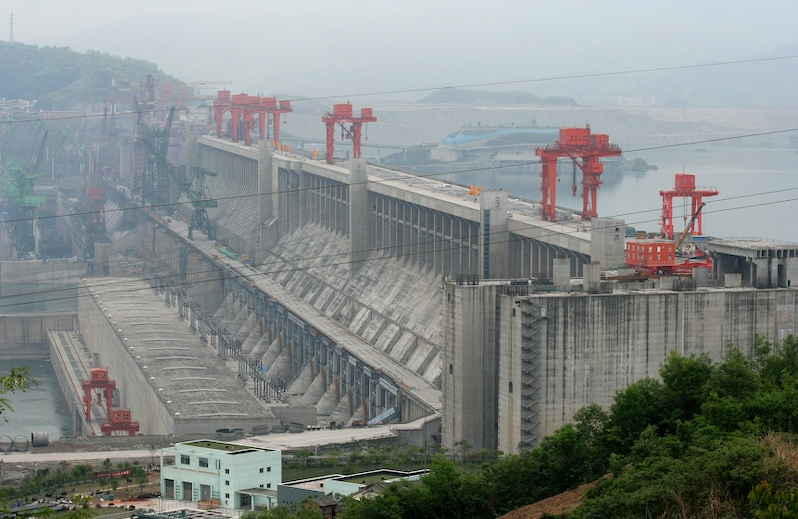 It could be pointed out that China’s industrialization has had serious environmental consequences, and that Chinese money was critical to the building of the Three Gorges Dam, the construction of which led to the forced removal of at least 1.3 million people. True enough, but Canadian, French, German, Swiss, Swedish and Brazilian capital were also necessary to build the dam. The World Bank also provided loans associated with Three Gorges and provided experts during the project’s planning stages. Despite the pressure from Washington, 21 countries signed up to be founding members of China’s Asian Infrastructure Investment Bank, including India, Singapore and the Philippines. China’s new bank was formed three months after the BRICS New Development Bank. The BRICS bank will be more modest, with a goal of US$100 billion capitalization, spread equally among the five countries. In a July 2014 communiqué, the five countries said their bank will have the “purpose of mobilizing resources for infrastructure and sustainable development projects in BRICS and other emerging and developing economies.” They also pledged to organize a “BRICS Contingent Reserve Arrangement” to “help countries forestall short-term liquidity pressures” resulting from foreign-exchange or debt markets. That, for at least the near future, U.S. hegemony is not threatened received fresh confirmation during October’s week-long decline in the world’s stock markets — money from around the world quickly poured into U.S. treasuries as a safe haven. From a capitalist standpoint, doing so is entirely rational: If the U.S. government unravels, the entire global capitalist system disintegrates. Although predictions of the U.S. eventually being dethroned will one day come true — every empire has an expiration date — that such a dethronement is imminent is wishful thinking. This is not to say that U.S. power is not eroding, but there is no conceivable replacement for the U.S. at the center of the world capitalist system. The U.S. spends about as much money on its military as every other country on Earth combined and the dollar remains the world’s reserve currency; that the world continues to buy U.S. debt as a safe haven enables the U.S. to continue to run up deficits and finance its military. There is no military remotely in a position to become the global enforcer of capital, nor any currency that could replace the dollar at the present time. The euro is not a candidate because the eurozone is too fractured and unstable; the renminbi is not fully convertible. According to the Bank of International Settlements, the U.S. dollar was involved in 87 percent of the world’s foreign-exchange transactions in April 2013, while the euro was involved in 33 percent and the renminbi in 2 percent. The U.S. needs China to buy its debt but China needs the U.S. as an export destination; Chinese growth continues to be dependent on unsustainable levels of investment rather than internal consumption, a situation difficult to adjust because production is moved to China to take advantage of its low sweatshop wages. A contradiction on the other side of the Pacific is that U.S. foreign policy treats China as a capitalist competitor that must be contained at the same time that U.S.-based multi-national corporations are instrumental in transferring production to China. A change in the global hegemon from the U.S. to another country or bloc, leaving the capitalist system intact, provides no salvation, no more than did the early 20th century’s transfer from Britain. Another world is possible only with an entirely new economic system. Otherwise, the subaltern will remain subaltern, be they nation or people. Could the rise of China fatally de-stabilize capitalism? The world is not limitless, yet growth without limits is touted as a permanent economic elixir. But natural resources aren’t infinite, nor can demand be infinite. What happens when the limits of growth are reached? We aren’t supposed to ask that question about capitalism; the assumption is that economic activity will always grow. The insertion of China into the world capitalist system has created the opportunity for more growth as a country of 1.3 billion people has been thrown open to the world’s markets. But what if, rather than throwing capitalism a lifeline in the form of a vast pool of consumers who will drive demand, China instead will fatally destabilize an already weakened world economic system? China will be the final straw that will bring about the downfall of the capitalist system is the provocative conclusion of an interesting book by a Chinese economist, Minqi Li, who now teaches at the University of Utah. Professor Li doesn’t pull any punches in his book; indeed his book’s title is The Rise of China and the Demise of the Capitalist World Economy. * The book’s central thesis is that the huge mass of low-wage Chinese workers will drag down wage levels globally; the increase of industrialization in developing countries will lead to exhaustion of energy sources; and that ecological limits will force a halt to growth, fatal to a system dependent on growth. Professor Li believes that the combination of these crises will bring an end to the capitalist system by the middle of this century. The Rise of China, however, is not apocalyptic; rather it methodically builds it case piece by piece through a sober examination of economic trends, calculations of the limits to a range of natural resources, analysis of long-term environmental unsustainability, and study of historical trends going back centuries. Nor is this a bleak work; Professor Li writes in the Gramscian spirit: pessimism of the intellect, optimism of the will. What will follow the collapse of capitalism is not pre-ordained but is up to humanity to determine. The first two of the book’s seven chapters provide an interesting discussion of Chinese history, before and after the 1949 revolution. Pro-capitalist factions within the Chinese Communist Party gained the upper hand soon after Mao Zedong’s death in 1976, with Deng Xiaoping wresting party leadership by the end of the decade. Early reforms granting concessions to workers and peasants cemented political control for the Deng faction, Professor Li writes, enabling the party to then introduce capitalism. A 1988 law granted enterprise managers full control in the workplace (including hiring and firing at will), and the development of market relations enabled privileged bureaucrats to enrich themselves. The “socialist rights” that were revoked included job security, medical insurance, access to housing and guaranteed pensions. The creation of an exodus from the countryside provided a huge pool of surplus labor to keep wages extremely low. Professor Li’s analysis rests on “world systems” theory, which divides the world’s capitalist countries into three general groupings. World systems theory emphasizes that capitalism is a global system that changes and mutates over time and therefore must be analyzed as a single unit rather than as a collection of nation-states. The global division of labor forms the basis for a division of the world’s countries into three broad categories: core, semi-periphery and periphery, with the latter two subordinate to the core countries and the periphery the most exploited. Inequality between core and periphery is an “indispensable mechanism” of global capitalism, Professor Li writes, and the existence of a semi-periphery acts as an important buffer because it is exploited to a relatively lesser degree than the periphery and can also, to a lesser degree, exploit the periphery. The semi-periphery historically comprised a small percentage of the world’s population and thus could be “bought off” relatively easily and thus a buffer against any united resistance by the world’s non-core countries. But if the semi-periphery were to become a significant portion of the world’s population, the world system would be destabilized. “First, China may fail. China’s great drive toward ‘development’ in the end may turn out to be no more than a great bubble. [In this scenario,] as China sinks back to the status of periphery or poor semi-periphery, China’s existing regime of accumulation will collapse as it can no longer withstand the exploding social pressures the very process of accumulation has generated. This scenario, however, may be the least devastating for the capitalist world-economy. “For the capitalist world-economy, the problem of China lies with its huge size. China has a labor force that is larger than the total labor force in all the core states, or that in the entire well-to-do semi-periphery. As China competes with the well-to-do semi-peripheral states in a wide range of global commodity chains, the competition eventually would lead to the convergence between China and well-to-do semi-peripheral states in profit rates and wage rates. This convergence may take place in an upward manner or a downward manner. Professor Li is arguing that, in this second possible scenario, wages rates in industrialized countries not among the “core” states (industrialized countries other than Western and Northern Europe, North America, Japan, arguably South Korea) would collapse under the competitive pressure of China’s low wages, which long hovered at about five percent of U.S. wage rates, and in the mid-2000s were one-quarter to one-fifth of countries such as Argentina and Hungary. A collapse in wages in semi-peripheral countries around the world such as Argentina, Hungary and Turkey would spark unrest and lead to economic depression around the world. Here, Professor Li is arguing that a multi-fold increase in Chinese wages simultaneous with a maintenance of wages in countries around the world would likely be unsustainable. Multi-national companies based in core countries have moved production to China to take advantage of its low wages and lack of effective labor laws, enabling them to extract more surplus value. “Surplus value” is the sizable difference between the value of what an employee produces and what the employee is paid; some of the surplus value is used by capitalists for investment or to cover other expenses but much of it goes into stratospheric executive pay and financial-market speculation. An upward convergence of wages around the world in present-day low-wage havens such as China would significantly reduce capitalists’ profits. In this scenario, capitalists would seek to cut wages in core countries to make up the difference, which in turn would trigger reductions in demand. Declining rates of profit, under capitalism, lead to economic downturns. Each of the world’s major economic crises, from 1873 on, have followed declines in the rate of profit. But will there be enough energy to meet even the increasing needs of whatever countries will be in a position to dominate energy resources? Because of the intense competition imposed by the market in capitalism — individuals, businesses and states must all engage in it — a substantial amount of available surplus value must be used toward further capital accumulation to secure and expand market share. Those who do not do so are eliminated in the competition. Investment is a necessity, and to compete successfully, what is wrung out of labor must rise. Machinery is the route toward greater efficiency. But as machinery and consumer products become more sophisticated, energy and other resources are consumed at greater rates; thus energy inputs rise faster than the population, pushing energy usage beyond sustainability and degrading the environment. 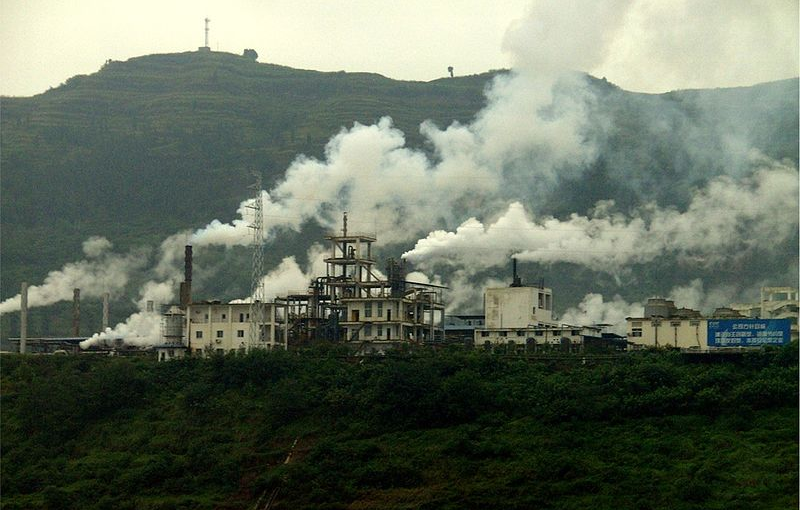 The world is already consuming resources beyond the world’s bio-capacity, Professor Li argues. Not only have the world’s “core” countries already exceeded their regional bio-capacities, but China, India, the Middle East and Central Asia have as well. Using calculations in a 2006 report by the World Wildlife Fund in the USA and Canada, the Zoological Society of London and Global Footprint Network, China and India consume resources and impose domestic environmental damage at a rate twice beyond their ability to be sustainable. Although those countries consume per capita far less than do the U.S. or the European Union, they also have much lower bio-capacities. Such problems are compounded by an imminent peak in oil and gas, and limits to a variety of metals and other natural resources. If renewable energy sources prove unable to make up for the future shortfall in energy from oil and gas, the world will have much less energy available to it in the latter part of the 21st century than is available now. Professor Li believes that renewable energy will only be able to produce a small percentage of that of non-renewable sources. Even if his pessimism proves unfounded, the unsustainability of present energy consumption remains — as is the damage being done to the environment. Another looming crisis for the capitalist system is the lack of a successor to the United States as the system’s center. Capitalism has had a succession of dominant centers; each successive center has been bigger to be able to cope with increasingly complex tasks. When London succeeded Amsterdam as the financial center, the financial center became located within a country with a powerful military, not only a large merchant fleet as Amsterdam’s United Provinces possessed. With New York succeeding London, the country at the center is continental in size and possesses a military that can be projected around the world. Is a rapid decline for the U.S. coming soon? Professor Li predicts a rapid decline for the U.S., including an imminent end to the dollar as the world’s central currency. Here I believe the professor’s forecast will prove to be considerably off; although the U.S. has entered a period of decline, its military and financial powers will remain preeminent for some time. And the dollar and U.S. debt instruments remain safe havens. Declines from the capitalist system’s apex have tended to be gradual and not precipitous; moreover, the former financial center tends to remain powerful in financial markets for some time after the military baton has been passed. And there is no country remotely near being able to mount any challenge to U.S. military supremacy; U.S. military spending is nearly equal to military spending of all the rest of world put together and a significant portion of the Pentagon budget goes to weaponry. It is a contradiction that the “duties” of the central power contribute to its ultimate decline. For the U.S., that is not only the enormous drain of military spending that starves the rest of its economy of investment and needed social provisions, but that it props up the world system through its deficits. No other country has a big enough economy, nor a big enough military to apply the muscle that underlies the capitalist system, to replace the U.S., yet the capitalist system is unable to function without such a center. The next hegemon must be bigger than the U.S., and there is no country or bloc that fits the bill. Moreover, Professor Li argues, such a hegemon would be so large that it would stifle competition among countries, kicking out one of the crucial legs of the capitalist system. What comes next is up to humanity to decide. Professor Li quotes world-systems theorist Immanuel Wallerstein as predicting the world will enter a post-capitalist era in the second half of the 21st century. But what will that system or systems be? It could well be much worse — an authoritarian feudalism in which survival is a struggle in a time of scarcity is certainly foreseeable. Or it could be a democratic socialist system, in which production is for human necessity rather than an elite’s wealth accumulation and in which the consequences of a changing climate and the limitations on the world’s resources are handled in fully democratic, rational manners without elites to confiscate most of what is produced. The Rise of China rewards the reader with a wealth of information and analysis. It is not necessary to agree with everything in the book to find it a valuable contribution toward understanding the stresses of the present economic crisis and a stimulant to discussion of the viability of continuing on the current economic path. One conclusion that shouldn’t be controversial, however, is that there will be no saviors. We’ll have to save ourselves. The extent to which multi-national corporations are profiting from super-low Chinese wages is often obscured in the rush to point nationalist fingers at China’s economic policies. In the corporate media the subject generally remains a taboo. One way of shining some light on that profiteering is this: During the mid-2000s, Wal-Mart was China’s fifth-largest export market. In other words, there were only four countries that imported more goods than Wal-Mart, the world’s biggest retailer, did by itself. By now, Wal-Mart has slipped a bit down the charts because the volume of Chinese exports continues to grow; but the company would remain among the top ten destinations were it a country by itself. Wal-Mart is hardly unique among multi-national corporations, but, true to its general business practices, is perhaps the most ruthless in not simply exploiting Chinese workers but in accelerating the trend of moving manufacturing to the location with the lowest wages. Other major United States retailers began procuring clothing items from Asian subcontractors before Wal-Mart, but the relentless drive to have the lowest costs forced an acceleration in the shift of production to countries with the most exploitable populations. If a manufacturer wants to continue to have contracts to supply Wal-Mart, then it has no choice but to ship its operations overseas because it has no other way to meet Wal-Mart’s demands for ever lower prices. Wal-Mart leverages this power further by contracting to make products with its own name (“private-label products” in retailing lingo) and undercutting makers of traditional branded products, who can’t survive unless they, too, drive down their costs. This only accelerates the race to the bottom. Nonetheless, let us not lay all the blame for corporate globalization at the doorstep of Wal-Mart headquarters. The internal logic of capitalist development is driving the manic drive to move production to the locations with the most exploitable labor, not any single company, industry or country. One company will inevitably become the most ruthless in implementing what companies in a variety of industries are forced to do under the rigor of capitalist competition. Wal-Mart so happens to be it. Fully two-thirds of China’s exports are shipped from factories wholly or partially owned by non-Chinese companies. The world’s multi-national corporations profit immensely from China’s low wages and like the current Chinese system just as it is. As I noted recently in my Feb. 9 post, extraordinarily low wages and harsh working conditions endured by Chinese workers are fueled by a steady flow of peasants from the countryside (where wages are even lower) to the cities. Most of these workers, often young women, intend to return to the countryside. The world’s attention on those harsh conditions have lately centered on the Foxconn electronics factory, manufacturer of Apple computer and phone products, after a rash of suicides by employees who could no longer endure their prison-like conditions. Foxconn executives showed their humanity and compassion when their response was to install nets to catch future suicide attempts. But as with Wal-Mart, Apple is far from alone in exploiting low-wage workers; in fact, these companies are the norm and not the exception. Workers at the Meitai factory are prohibited from talking, raising their heads or putting their hands in their pockets. They are fined for being one minute late, for not trimming their fingernails or for stepping on the grass, and are searched on the way in and out of the factory. Workers sit on hard wooden stools twelve hours a day, seven days a week, for a base pay of 64 cents an hour. The Meitai factory produces computer equipment for companies including Dell, Microsoft, IBM and Hewlett-Packard. Workers at the Jabil Circuit factory work twelve-hour shifts, seven days a week — they are at the factory 84 hours a week. They are prohibited from sitting down and are paid 93 cents an hour. Workers who make a mistake are forced to write a “letter of repentance” begging forgiveness, which they must read aloud in front of all their co-workers. This factory produces circuit boards for Whirlpool, General Electric, Hewlett-Packard and Nokia. Base wages at the Yuwei Plastics and Hardware Product Company are 80 cents an hour for 14-hour shifts performed seven days a week. During the peak season, workers toil 30 days a month, often drenched in their own sweat. Safety equipment is turned off to speed up production. The punishment for missing one day of work is to be docked three days’ wages. Yuwei produces auto parts for Ford, General Motors, Chrysler, Honda and Volkswagen. These are the prices that millions of people are forced to pay so that more money can be distributed upward. The profits from these reductions on labor costs are distributed to high-ranking corporate executives and to shareholders. It pays to be cheap: Wal-Mart reported net income of US$16.4 billion on revenue of US$419 billion for its fiscal year ending on Jan. 31, 2011. Four members of the Walton family, descendants of the company founder, are each among the 22 richest people in the world, according to Forbes magazine — they are collectively worth 73 billion dollars. One final thought related to Apple. The New York Times columnist Paul Krugman recently wrote that, although Apple is the largest U.S. corporation by market value, it employs only 43,000 people in the U.S., but indirectly 700,000 overseas through its subcontractors. By contrast, 50 years ago, General Motors was the largest U.S. corporation but employed ten times as many U.S. workers as does Apple. Those were union jobs, not sweatshop jobs. Chinese workers make about five percent of what workers in the United States earn. I strongly suspect that Apple products are not sold at five percent of what they would be had they been produced domestically. Good for corporate profits, but not good for working people. As wages are driven down further, who will be able to afford the products that are made? If wages fall below a level at which employees can remain alive, what does that portend for the future? That such a question can even be asked illustrates the insanity of our economic system.